Gifting is an Art and particularly gifting to loved ones has an emotional touch. 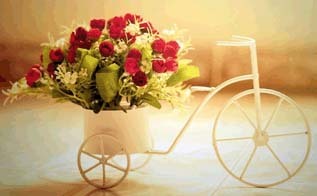 Celebrating happy times by delivering fresh flowers & fabulous gifts to your loved ones with Gift2goa.com. Temptation 3 chocolate bars from cadbury, to the love of your life.